Product prices and availability are accurate as of 2019-04-20 03:41:56 BST and are subject to change. Any price and availability information displayed on http://www.amazon.co.uk/ at the time of purchase will apply to the purchase of this product. Deep, golden mahogany in colour with orange, marmalade and aromatic spice on the nose. Elegant and rich on the palate with concentrated citrus, Oloroso sherry with hints of sweet vanilla pod. An aftertaste of great complexity. The perfect spirit to tease the palate before dining. 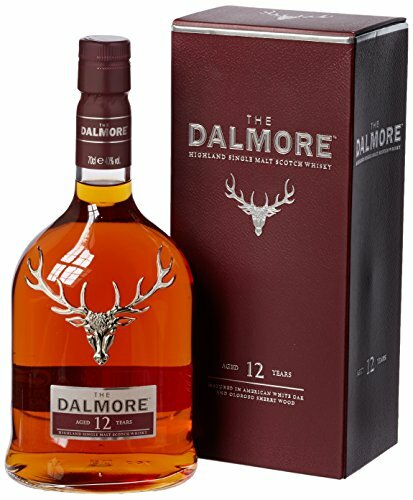 The exceptional richness of The Dalmore spirit benefits from slightly longer maturation than is typically practised in Scotland. So their youngest expression is bottled only after twelve years, rather than the more usual ten. Their Master Blender, with some four decades of expertise, has discovered that the complex spirit from the stills is too rich to be tamed by a single style of cask. 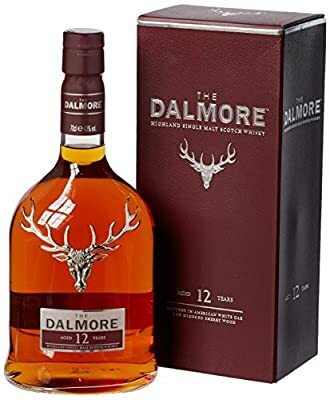 He favours fusing together the sweet, vanilla rich whiskies from ex-bourbon barrels with the aromatic, spicy and dried fruits characters from sherry casks from Spain. In this, our entry level expression we have sought balance and richness by selecting malts in a 50:50 recipe - 50% from ex bourbon barrels and 50% from ex-sherry butts.